The Resilience Shift, in partnership with the Arup team leading the City Water Resilience Approach (CWRA), is participating in the Paris Committee on Capacity-building (PCCB) series of events as part of COP24 at Katowice, Poland, during 5-12 December 2018. On Friday 7th of December, between 12:30 and 13:30, at the PCCB Capacity-Building Hub / RYSY Meeting Room 24 – Area E, we presented the City Water Resilience Approach (CWRA) at a session entitled ‘Introducing the City Water Resilience Approach: Assessing and Building Urban Water Resilience’. See session flyer. Martin Shouler, Project Director of the CWRA project and Arup London Water Leader, and Iñigo Ruiz-Apilánez, Arup Project Manager of the CWRA project and representing the Resilience Shift, led this session. The City Water Resilience Approach (CWRA) helps create water resilient cities with the capacity to provide access to high quality water resources for all residents, protect residents from water-related hazards, and connect residents through water-based transportation networks (provide, protect, connect). The Cit y Water Resilience Approach outlines a detailed methodology for developing resilience and a suite of resources to help cities grow the adaptive capacity that allows them to survive and thrive in the face of shocks and stresses. The CWRA process has been developed based on a mix of field and desk research, collaborative partnerships with subject matter experts, and direct engagement with eight city partners. This work, in partnership with the Rockefeller Foundation, helps cities better prepare for and respond to shocks and stresses to their water systems. 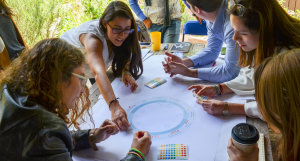 Participants learned about the meaning and importance of water resilience in urban contexts and became familiarised with the City Water Resilience Approach and two of the resources developed to assess and build for urban water resilience’. 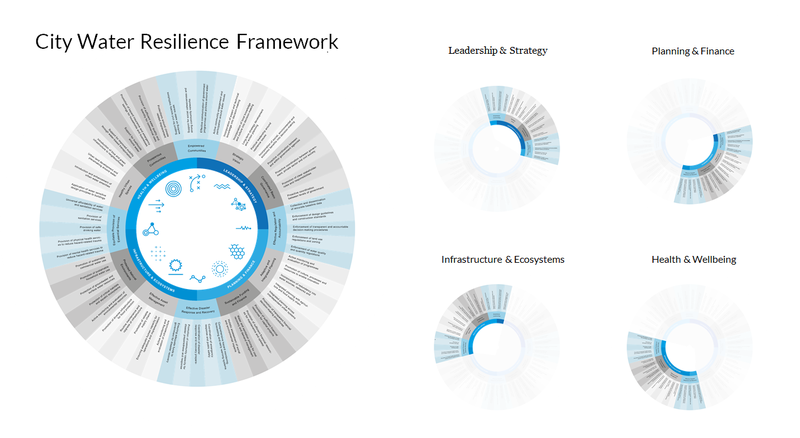 We introduced the Resilient Water Governance work of the Resilience Shift, including WaterShare, a digital governance tool that helps users map the stakeholder landscape. The WaterShare tool is designed to help cities better understand their local water basin, including the types of shocks and stresses confronted, their impact on natural and man-made infrastructural systems, and the interaction between key stakeholders involved in urban water management. Watch this video which introduces WaterShare. The City Water Resilience Framework (CWRF) helps cities evaluate the current areas of strength and weakness in their own urban water systems. The CWRF helps guide cities to build resilience in four dimensions—leadership and strategy, planning and finance, infrastructure and ecosystems, and health and well-being—which are broken down into 12 goals, and detailed further in 56 sub-goals. We explored next steps for the City Water Resilience Framework which will be part of the City Water Resilience Approach to be published soon. 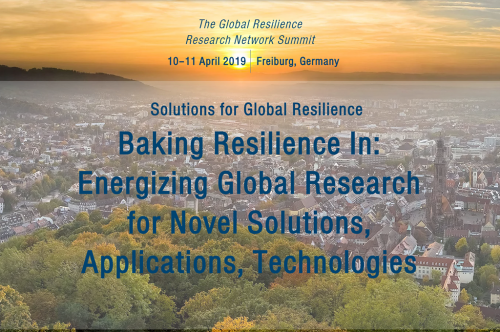 This will include annexes on Data Analysis, Indicators for Resilience, the Fieldwork Report and reflections on the Global Knowledge Exchange and Bellagio conferences where this work was developed in a number of stakeholder workshops and presentations. This will also be supported by publication of 8 City Characterisation Reports and a Water Resilience Literature Review (including a Governance Literature Review). Publication is expected at the end of this year as outcomes from the first stage of the programme. In the urban context, water is among the resources most impacted by climate change, while the treatment, storage and recycling of waste water and storm water represents an increasingly significant contributor to greenhouse gas emissions. With over 2 billion new urban residents anticipated by 2050, there is a growing need for urban water management that ensures consistent, adequate and high-quality water services for cities. However, the scale and complexity of this need presents a challenge to city decision-makers across multiple-sectors, taking account of the shocks and stresses on urban water systems from variable climate. 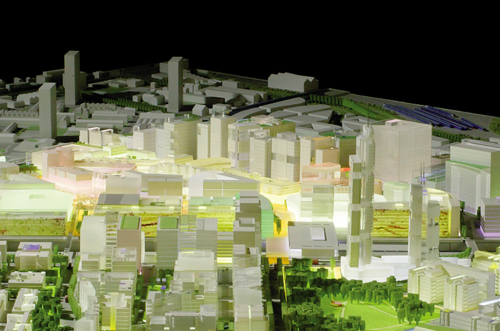 This approach provides a framework, tools and case study examples from developing and developed cities to share best practice and build capacity within the spectrum of city stakeholders. A clear demand therefore exists for innovative approaches and tools that help cities build water resilience at the urban scale.